On the 5th of March 2016 my son turned 5. We decided not to have a big party, and rather opted for something small at home. 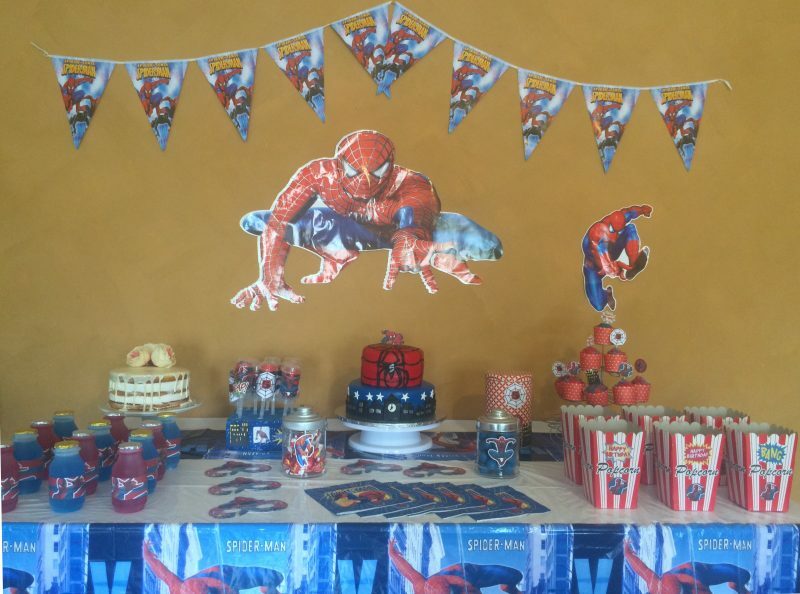 But since we love celebrating birthdays, and my kids love birthday parties, I had to make it as special and as enjoyable for him as possible. I prepared a variety of themed baked treats, from scratch. 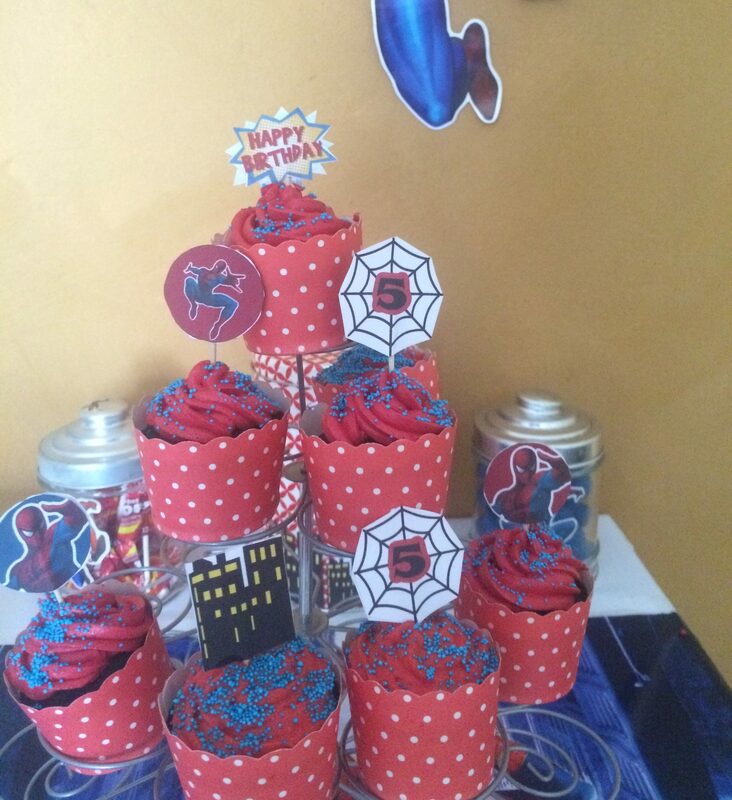 For the birthday cake, I prepared a special two tier spiderman cake, where the top tier was a fondant covered rainbow cake and the bottom tier was a fondant covered chocolate cake prepared using my moist chocolate cake recipe. As it was my birthday on the 2nd of March, I prepared a special rustic “naked” white chocolate cake to celebrate. 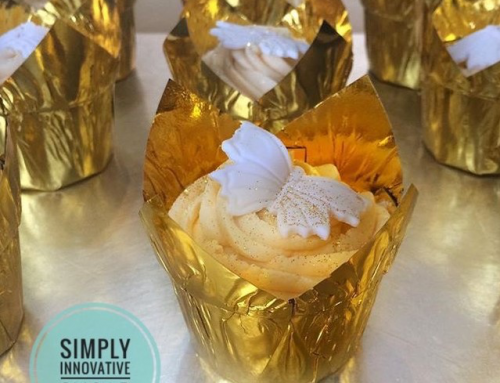 The vanilla cake sandwiches layers of caramel and whipped cream and is topped with a white chocolate ganache. I decorated the cake with artificial flowers, to complete the rustic look. I prepared blue velvet cupcakes, topped with red cream cheese frosting, sprinkles and DIY printable toppers. I prepared blue velvet cake push pops, layered with red cream cheese frosting and sprinkles. 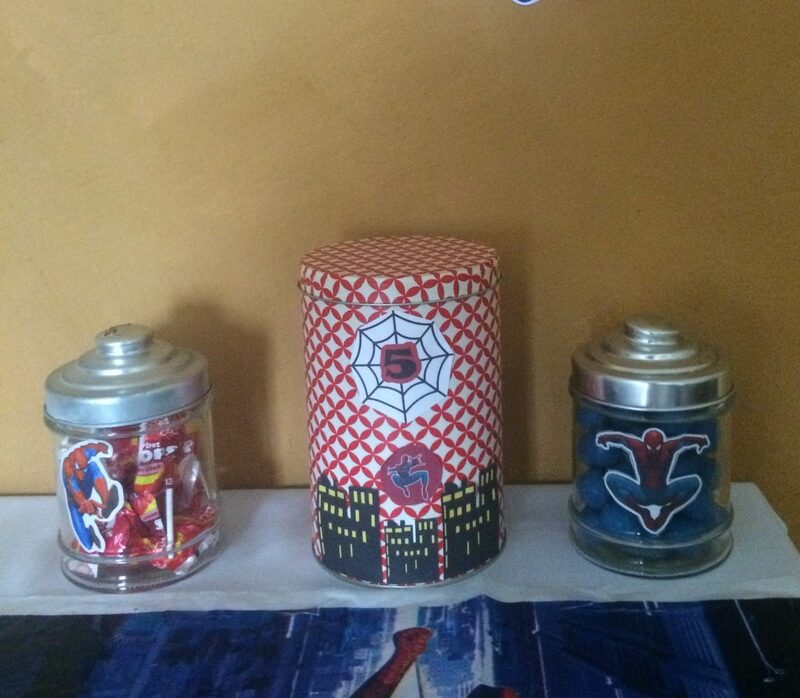 The cake push pop containers were decorated with spiderman themed pics printed from templates. 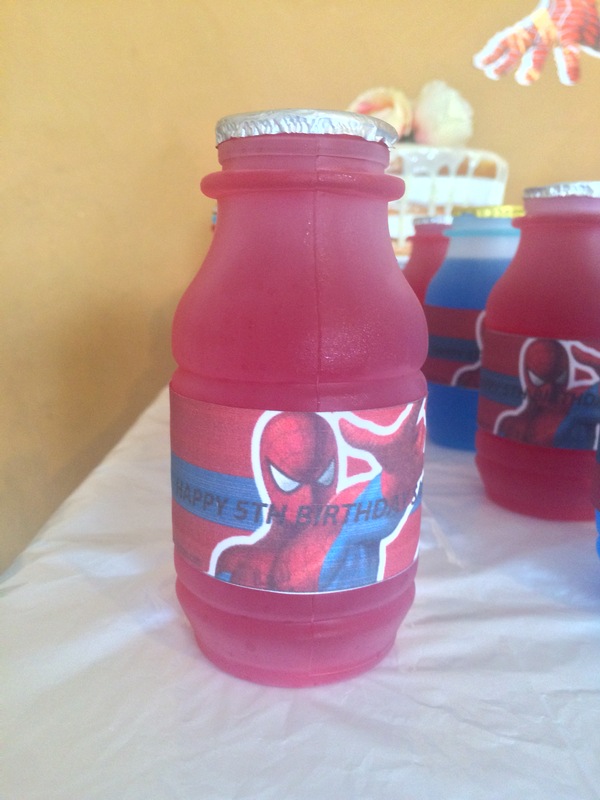 I created personalised Spiderman label templates with a birthday message, printed and applied them onto juice bottles. 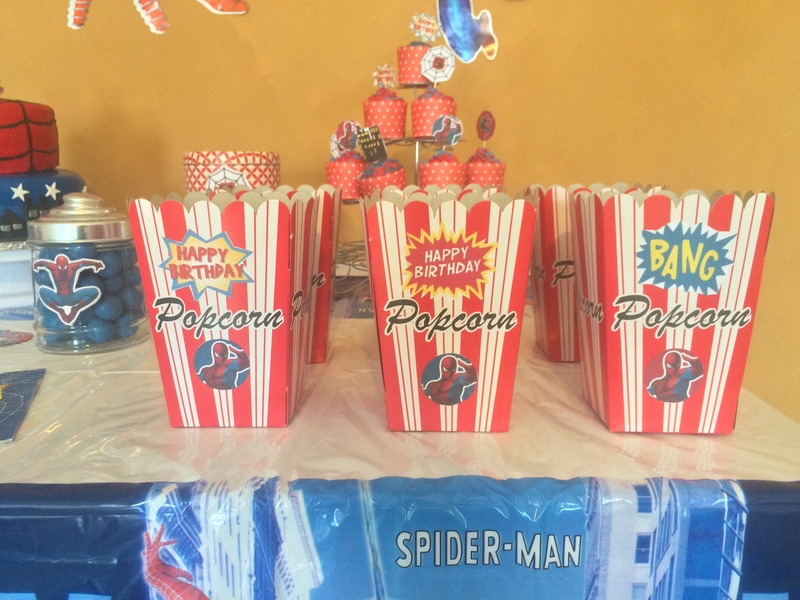 In addition, all the sweet containers and popcorn boxes were customised to match the theme. Free printable templates can be found here. 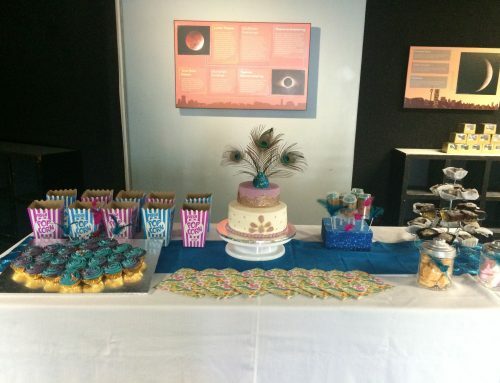 The full tutorials and recipes for the cakes, cake push pops and cupcakes are available in separate posts. IF YOU ENJOYED THIS POST, WE WOULD LOVE IT IF YOU SHARED IT WITH YOUR FRIENDS! DON’T FORGET YOU CAN ALSO FIND US ON FACEBOOK, INSTAGRAM.